This post is a different flavor from my usual writing. I wrote it as a submission for a wonderful blog called Monkey Goggles. The site is excellent and besides that, it’s just pure fun. One of my favorite posts on MG was the first one I ever read, and apparently it hits on all cylinders with a lot of people. 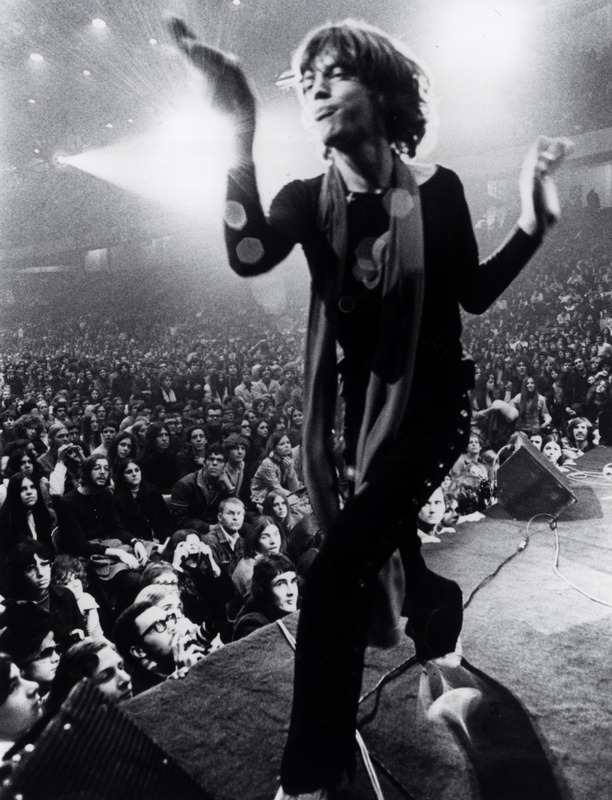 It is titled Mick Jagger’s Adventures is Toyland and is the 2nd most popular post of all time on Monkey Goggles. Alas, my beloved MG went dormant at the end of 2010 and I never had the chance to submit my story. I offer it to you here for your entertainment. Consider it a humorous and slightly deranged take on Essays on Childhood. Enjoy! My sister and I are not quite three years apart, and we frequently are confused for one another by people who don’t know us well. They say we look alike, but when pressed they can’t defend that. She has blue eyes, I don’t; I’m a couple of inches taller; she dresses well, I don’t; she has never bitten her nails and I chew mine like gum. Even now that I have brown hair and she has blonde people say, “You are so much alike!” What they perceive, I suspect, is that we are both hard-wired products of 1970s children’s television. We grew up with Sesame Street and Shazam, Isis and The Land of the Lost. (Don’t even get me started on Lidsville.) We believed things, strange things, things that shaped the women we grew up to be. We believed deep down that we were one bad accident away from becoming bionic – ripping phone books in half to get respect from a classroom of rowdy high school students, or leaping flat-footed to the roof of a building downtown. A natural consequence of this belief is that we got a little cocky where perhaps it was not warranted; I think that still shows through sometimes and contributes to our perceived similarities. That and a penchant for speaking in Muppet voices and waving our arms around like Kermit the Frog. Both my sister and I developed chants and rituals directly tied to our widely underappreciated magical powers. The adult take on a lot of it now would track to early obsessive compulsive disorder, but I really don’t think it was that. I’m pretty sure it was primarily magic-related. 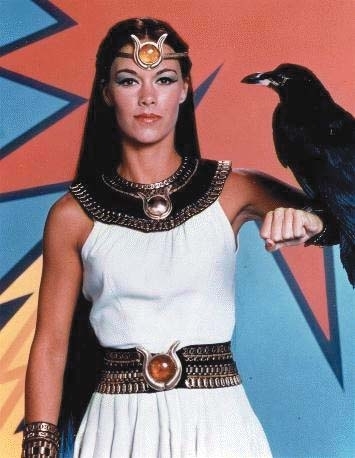 I mean, come on, if Isis could spin a certain number of times and hold her hands just right and say the right words, she could fly. 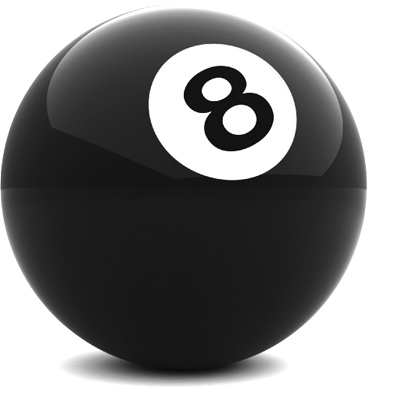 It made perfect sense to make sure I did things an even numbers of times — with the most magical power derived from factors of 8 — and conducted with my right hand or foot. It was all about generating protective powers against breaking my mother’s back. All good kids were doing that, right? I know. Don’t tell me. I don’t really want my peculiarity confirmed. It’s too late. My sister took her fashion cues from Charlie’s Angels, and as an elementary student could rock a silk scarf better than Kate Jackson. She also worshipped Mary Hart from Entertainment Tonight and envisioned taking over Mary’s empire one day. I can’t explain why I never picked up on the comprehensive effort at good appearance that my sister did, but I want to blame it on a Barbie manikin head a friend of mine had. I developed a conviction that if you just did your hair and makeup as if your body didn’t exist it was all good. I’m finding out that’s not really so, but I’m too set in my ways to change much now. Our early friendships had that Scooby Doo composition of mixed genders, smart kids, goof balls, pretty ones and jocks. 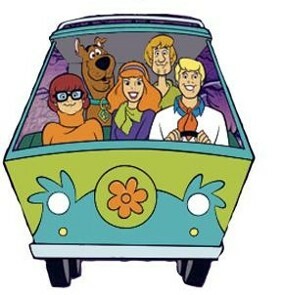 Though no one actually dubbed their vehicle The Mystery Machine, I distinctly remember one we called Super Pickle. My sister’s friends were prone to poking around in places where they could be perceived as “those meddling kids.” The Scooby Doo gang was just a highly evolved Breakfast Club, well ahead of its time. Mr. Potato Head had a strange late-breaking impact in our teen years, when I kicked my sister out of my room so I could read in peace and she retaliated by lobbing an Idaho baker stuck with a lighted sparkler into my room like a grenade. I told her well done, but she missed an opportunity for real genius when it wasn’t followed immediately by a handful of French fries as fall out. I am fairly certain that this potato explosive event was the intersection of the magical thinking of very young children with the warped power-games of adolescence that gave rise to The Worm Wand. I want to tell you that I remember exactly how this oddment came into being, but I don’t. All it was, physically, was the remnants of a checkbook register. Every check and deposit slip was torn out, and all that remained was a rectangle of cardboard edged with a thicker binding where all of the paper once was attached. Something about the binding of the register edge made it pliable yet stable. I made it into a hook-like finger and strangely, it acquired a power. What could it do? The one thing I needed it to do. It could control my sister. Obviously even then it was a game. She would start to get on my nerves and I would reach into my purse and pull out The Worm Wand and utter, “Silence! The Worm Wand commands you to stop pestering me!” And she did, laughing hilariously the whole time, but she did. It had a snowball effect. Each time she obeyed the commands of The Worm Wand, its power seemed to grow. “The Worm Wand commands you to change the channel. The Worm Wand commands you to give your sister the last bag of chips. The Worm Wands overrides your shot-gun call.” I could get anything I wanted just by having the wand make an appearance and make it so. I never dreamed she could move that fast. We both were laughing so hard we could not breathe. I honestly thought I might expire on that landing from my convulsions and inability to respirate. 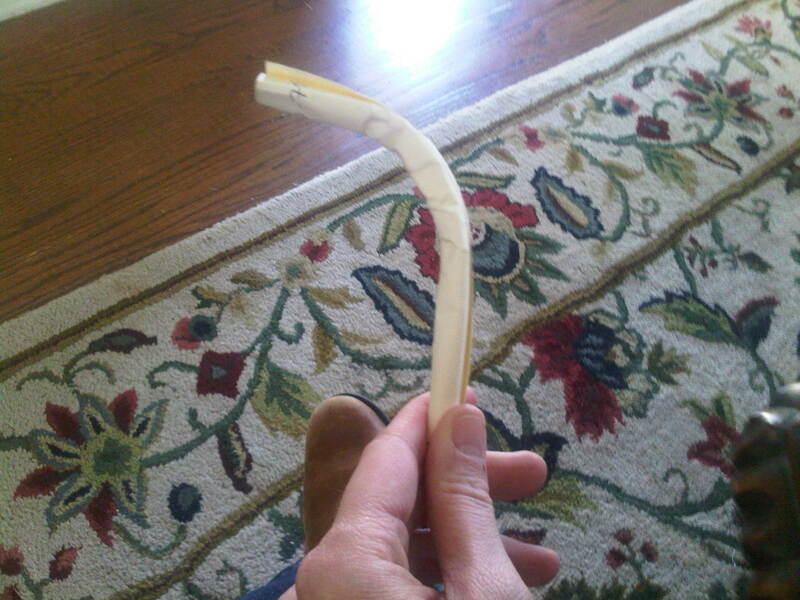 My sister and I have debriefed over The Worm Wand and its bizarre dynamic for decades now. The whole thing achieved the status of one of the weirdest and funniest episodes from our childhood, and that is no small feat. We did some very crazy stuff. The Worm Wand was entertaining, but it also scared us, and in later years I found out why. 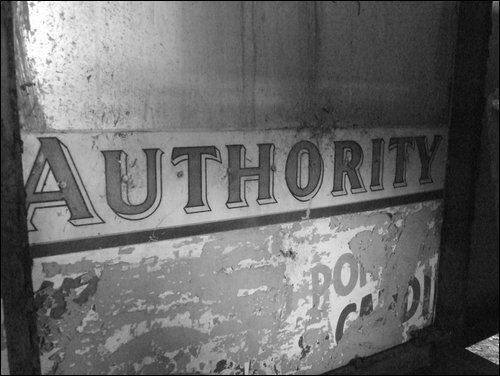 Most people have an innate tendency to submit to authority. That trait is no doubt there to keep us safe in most instances. What The Worm Wand episode taught me was how arbitrary and nonsensical it can be, and how dangerous. It was just a game, and it was very funny, but the scary part was to actually feel a random object gaining some influence over another person, and to feel that influence gaining a personality and life of its own. Most of us don’t believe we are this vulnerable. The value of The Worm Wand episode for me was the purity of the psychological experiment. We didn’t set out to do anything, or to prove or debunk any theories. We were just kids in our own little Lord of the Flies; yet we were old enough to feel unhinged by the experience. I still think about ole TWW. What triggers it can be as heavy as a news reference to the Nazi movement or as light was someone asking me to get in line. The words “you can’t” or “you have to” never fall lightly on these ears. Sometimes when the light is just right and I squint my eyes, the speaker gains the form of a hooked finger. Or a checkbook register. It’s hard to say. If you can, try to figure out how to get a ‘Like’ button for these posts on Facebook rather than just a ‘share’ button. but as you can see, it shows a little more than the ‘Like’ button itself. They give you some type of ’embed code’ that you use but Mike said he had to do something different to get it to work. But, it’s kind of cool that you can read the posts too in ours. ‘Scooby Do’ weaved in and out of my teen years too, but in my case as a repetetive irritant. No, what to this day remains truly Surreal and so outside any frames of reference I can construct to de-construct it (if you see what I mean) was ‘Banana Splits’. I keep it boxed away deep in my brain, lest a rogue ‘Oh-oh Chungo’ be enough to stir the slumbering monster and prompt a psychotic showdown. Andy, I am rolling with laughter over here! I did not recall the Banana Splits, but Googled it and it ran about the same time as Lidsville, which also was apparently inspired by the Banana Splits. Per Wikipedia: “The Kroffts give credit to the success of the series for opening the door for their own entry into television. NBC picked up the Krofft series H.R. Pufnstuf, which was launched during an hour-long special hosted by The Banana Splits on August 30, 1969.” Psychotic showdown of my own with that one! Too funny. Thanks for your comment! I can’t believe someone else remembers Isis! I distinctly remember putting on paper wristbands to play her at daycare and feeling very powerful. I came across your blog because Sarah is a fellow church member and she sent out the link to your blog about Ada. I’m fortunate that she did! Stanley and Willits in their book Creating Community talk about God creating in us a “human-shaped void”. When you speak about the ache that will never go away, it reminds me of this “human-shaped void”. I felt that way at the passing of my great-grandmother. Though I only met Ada a few times, it is a fitting tribute to a wonderful woman. Thank you for sharing! Then pow you struck a real cord with your writing about the power of TWW and people telling you what to do. I wondered if others felt the way I did when asked to stand at a concert or “raise your hands in the air”. They didn’t fall on deaf ears with me either. Not that I don’t get in line or stand-up, but I’m ever conscience of the “nazi” effect. This point driven home by the 1981 afterschool special “The Wave”, that they are now making it into a full-length movie. So, thank you for the jog down the lane and for letting me know there are others in this wonderful, crazy world of ours that think of things like the power of a checkbook register remnant aka TWW and the power we give others over us. Kimberly, thank you for your comment, and I am so glad to hear you connected with TWW! It’s a crazy story, right? But it was one of those things that I’ve never forgotten. I’m not sure I’d trade the 1970s childhood for anything. It was hilarious!